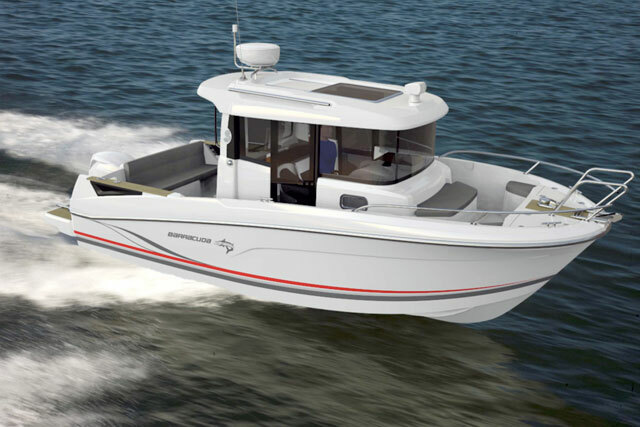 There’s a new entry-level platform to help introduce the more affordable end of the market to Beneteau’s Barracuda range. The Barracuda 6 brings big versatility to a very compact platform. 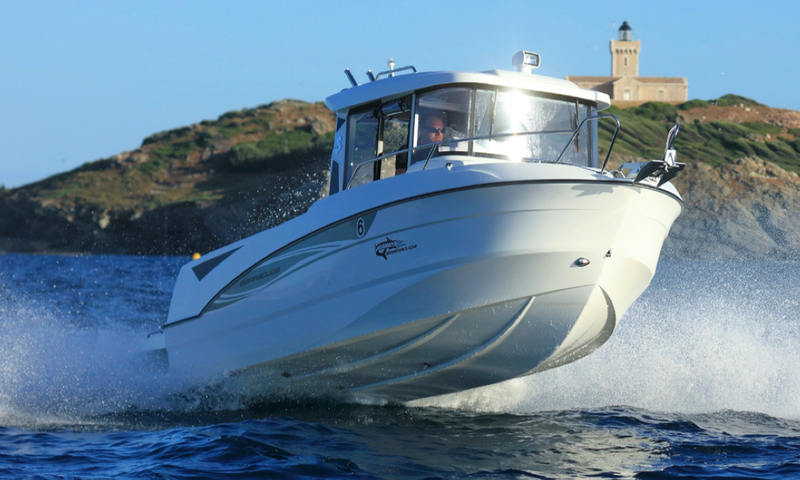 Although her 5.52-metre hull length makes the Barracuda 6 the smallest model in the product line, she still offers a generous cockpit with built-in fishing station and live bait well. A decent starboard walkway affords uninhibited access to the open bow and a pair of lateral bench seats can be added to the removable bench at the aft end of the cockpit, generating greater comfort without compromising open space. There are plenty more application-specific options elsewhere too. 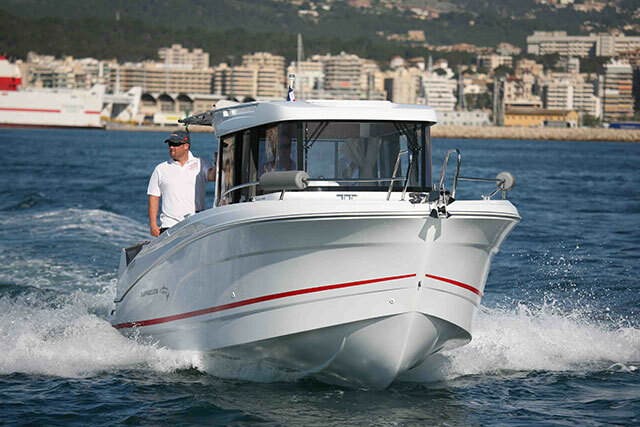 For instance, the base model can be equipped with an optional canvas to close off the pilothouse from the cockpit, while on the more comfortable cruising variant, a pair of sliding doors is used to carry out the job. 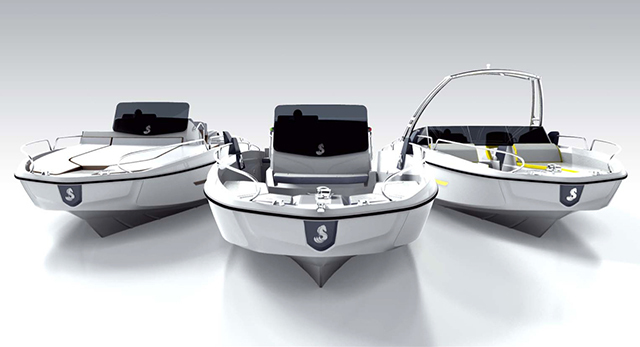 There is a similar choice between regular seats and bolster seats, but whichever layout you favour, the Barracuda 6 features a large, enclosed stowage area that can easily be converted into a temporary berth. And to upgrade her long-distance credentials, you can even spec this boat with a marine toilet, which is a very attractive rarity on an outboard-powered 21-footer. The style is also mercifully understated, with easy-maintenance anthracite finish and an external form that looks classically ‘Barracuda’. 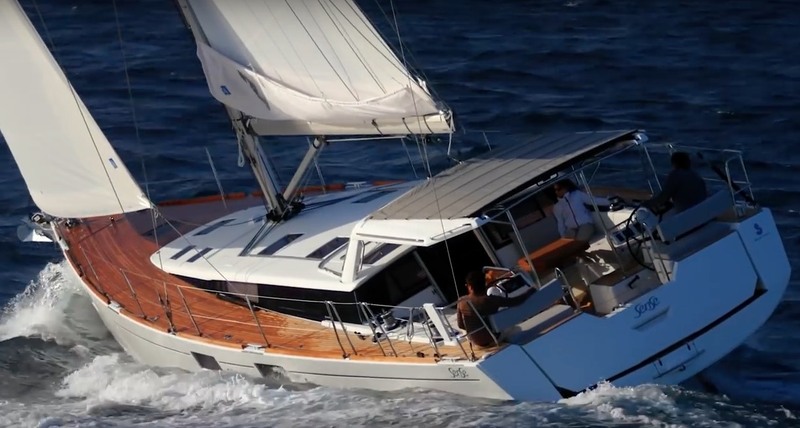 As for the hull, it is one of Beneteau’s latest generation platforms, optimised for outboard propulsion, which ought to make her quick to plane and stable underway. There will be three different engine options available – a 90hp, 115hp or 140hp unit – so you can match the performance dynamic, as well as the boat layout, to your favoured pursuit. 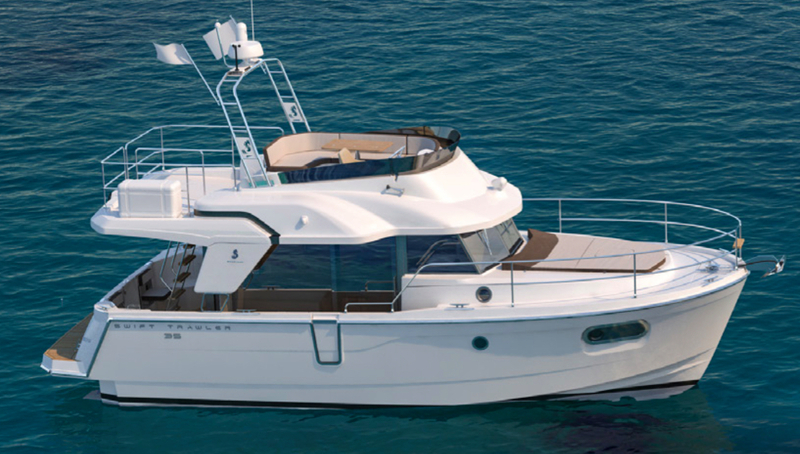 For more on the new Barracuda and the rest of Beneteau’s leisure fleet, see Beneteau.